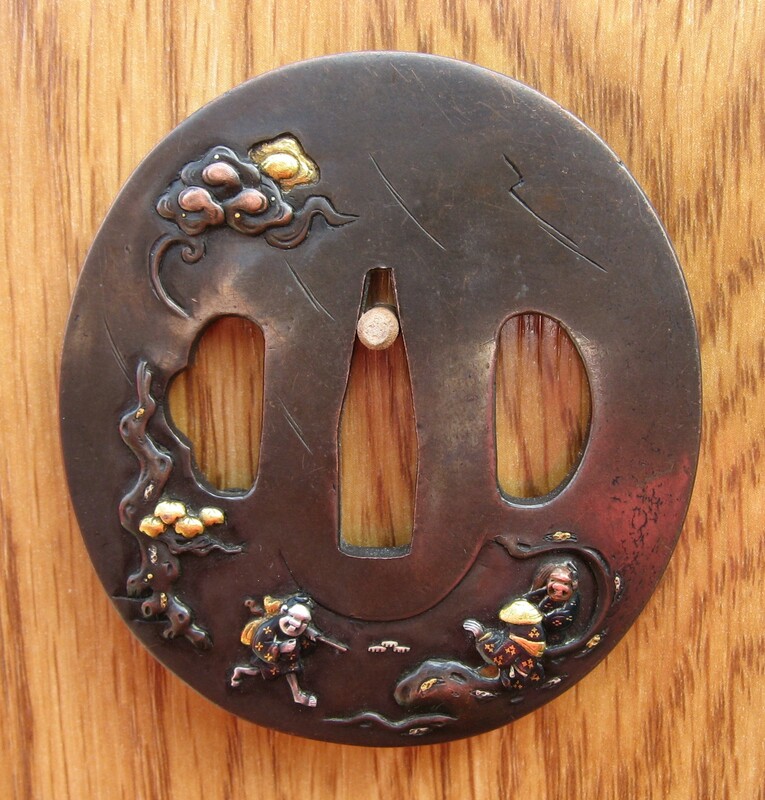 "Oval shakudo plate with design of a court official greeting traveling merchants. 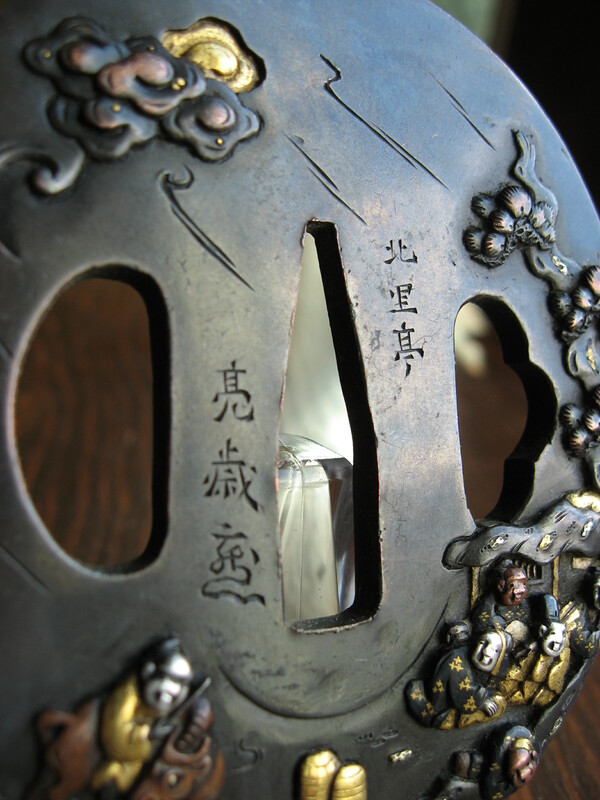 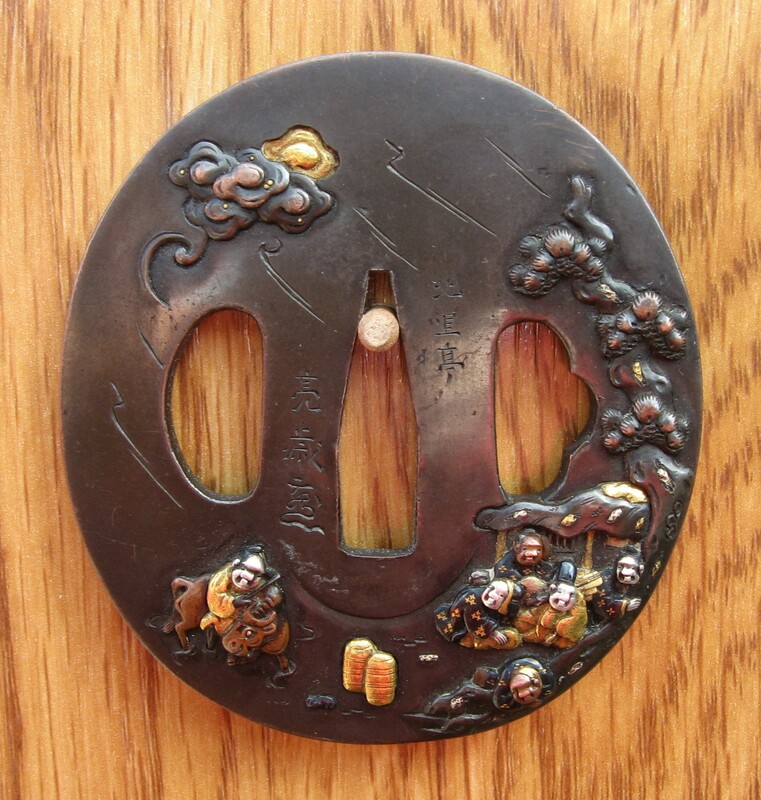 The rather high relief inlay is in gold, silver, copper, shibuichi, and shakudo. 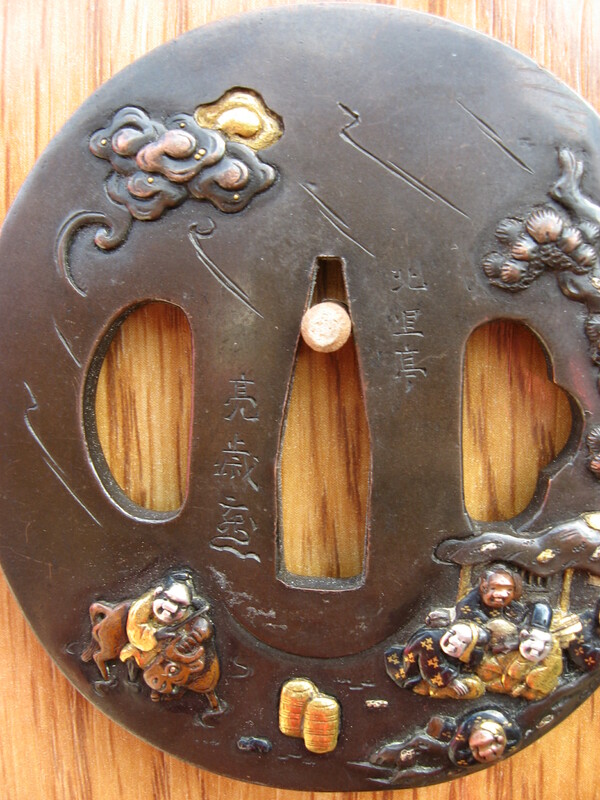 One should note the style of the eccentric trees and clouds which are either by this artist or from a wood block print. 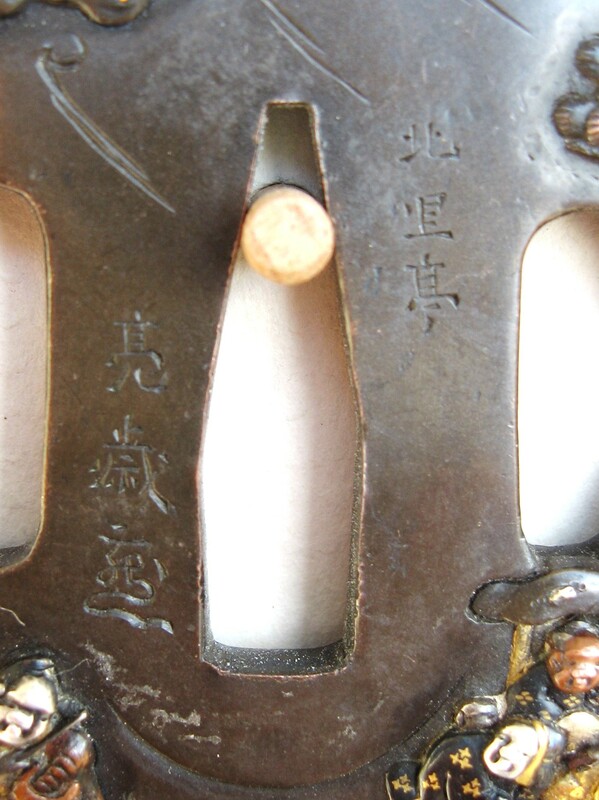 The remainder of the subject is seen on the reverse and all is under a rain covered sky. 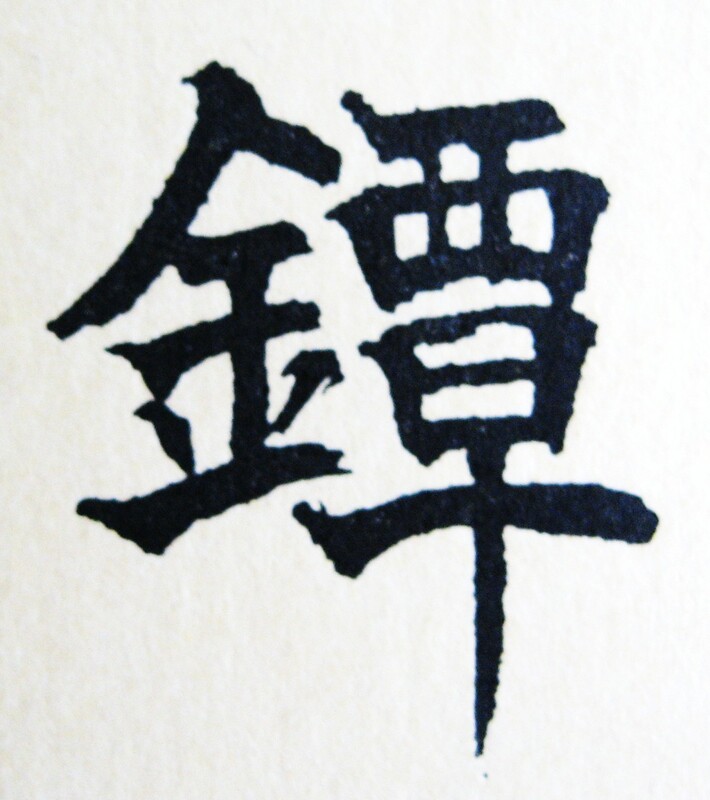 The face is signed: (in tiny kanji) 'Hokuritei' and 'Ryosai' with kao, (H 07603.0).